Brand New Rental Truck for Local Moves! Park your RV, Boat, Trailer, or Vehicle on our all new asphalt secured lot. Over 90 RV spaces available. 10x20, 12x30, 12x40 and 12x50 (12x50 is pull through). Contact us now to make reservation! We Sell Boxes! All kinds of unusual Sizes available. We have 60" Television Boxes, Wardrobe Boxes, Golf bag boxes, Lamp Boxes, Dish packs, mirror/picture boxes and many other sizes to help you with your packing and moving needs. Mattress Covers prevent "Hitch Hikers"
You don't know what someone else's property may have had in or on it when you rent that truck or have a mover move you. Prevent them from "Hitching a ride with you" by getting a mattress, couch or chair cover. 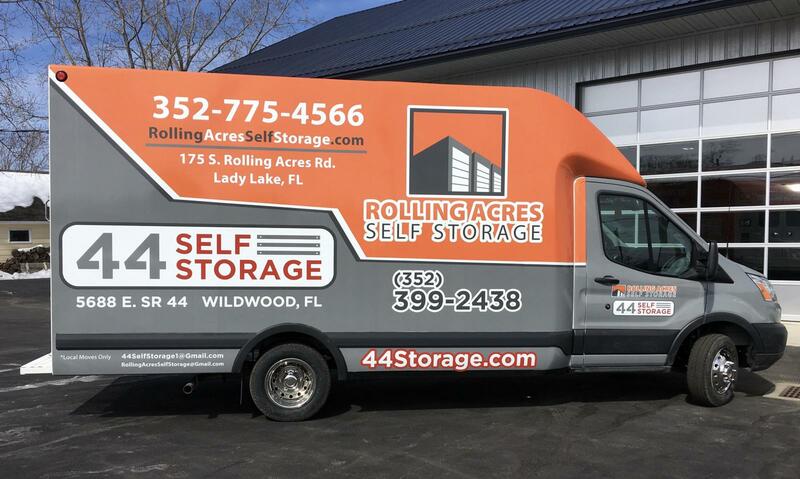 Classic Vehicle Enclosed Air Conditioned Storage Units Available! Drive right up to our 10x20 unit with Electricity, lighting, AND air conditioning. Keep that classic beauty of yours in pristine condition and out of the damaging suns rays.